Truth by Kbaig: Recent Allegations of India on Pakistani National Security Agencies!!! Recent Allegations of India on Pakistani National Security Agencies!!! The example of Sri Lanka in front of India is just like comparing an aunt to elephant; moreover, Sri Lanka is known as FULL STOP (.) of India. Salute to the honor, dedication and bravery to Sri Lankan public, govt. and forces that they are not ready to bow in front of a country 50 times bigger than themselves; neither they are afraid of Indian modern weapons, manpower, nuclear arsenal nor economy of India. In the simplest words they have denied slavery to India while India was dreaming that like Nepal and Bhutan, Sri Lanka would also pledge its independence and honor to India. 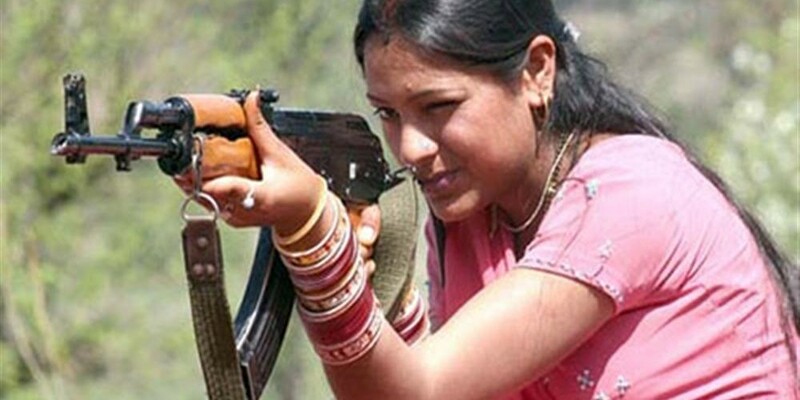 After failure into her plans India decided to punish her neighbor and formed the terrorist organization of Tamil Tigers under cover to separatists, converted whole Sri Lanka into hell for thirty years through Indian trained terrorists labeled as Tamil Tigers, but Sri Lankan nation did not give up, they faced enemy with zeal and courage and at least succeeded in toppling Indian conspiracies and cleaning their motherland from Indian sponsored terrorism. Not only Sri Lanka, India has disputes with all the neighbors around her, even China is not secure from Indian conspiracies and teachings of Kotalaya Chanakiya. The only difference is that only oral threats of Indian rulers to China become headlines of media while Indians are kept unaware of verbal and practical reaction of China. The fear of China is so deeply imparted in the minds of Hindu Indians that for 6 months Hindu Army took Mars and Venus (planets) as drones from China. According to the reports sent to Indian Army Headquarters these drones (Mars and Venus) were seen 329 times and for 155 times these drones violated Indian airspace at Ladakh border between India and China. On these reports when investigations were started it was revealed that these are Mars and Venus whose light flickers and even sometimes they feel to be moving. However the case of Pakistan is different from other countries which are target of Indian state terrorism; India has never accepted Pakistan which got independence from Hindus and British at the same-time, so India has been busy in conspiracies against Pakistan. The biggest example is the fall of Dhaka in 1971 but bitter reality is that India had support from within Pakistan for this tragedy. Same situation is being faced by Pakistan even now a days, Indian armed interference or in proper words state terrorism in Baluchistan, Northern areas and KPK is not a secret anymore. This state terrorism of terrorist Hindu state has not only been verified by media but US State Department as well. Huh! Despite of being aware of all the anti-Pakistan conspiracies, plans and activities of India we are still dying for friendship with Hindu India, not only to the level of issuing statements only but in the form of Track To Diplomacy, this includes will of US and Europe as their interests of falling economy (after Afghan war) are attached with India. Moreover, due to the defense formations around chinese sea USA does not want that India is involved in any major war in sub-continent. In contrast to Pakistan’s humble attitude Indian behavior is brutish as per usual. Unprovoked bombardment of Indian Heavy Artillery is going on Sialkot Working Boundary claiming the life of one defender of the Pakistani nation moreover; now Hindus have also started violating Pakistani airspace. Moreover, on 1st August while replying to Indian media’s questions over Pakistan’s offer for friendly environment Indian Foreign Minister conditioned restoration of dialogues and negotiations between Pakistan and India for peace, with change in Pakistani policy towards interference in India, pointing towards Mumbai and Indian parliament attacks. When a journalist enquired about the affidavit of the ex-Deputy Secretary in the court in which he has confessed that Indian govt. and army herself was involved in both of these attacks; Indian Foreign Minister denied the affidavit and changed the topic towards the statement given by Hindu Terrorist Organization Rashtriya Sevik Singh (RSS) in which terrorist leader of RSS has demanded security from Indian govt. as he has received serious life threats from ISI. How strange is it; till yesterday Indian govt. was murdering their own people and playing HOLI with the blood of their own people in order to prove Pakistan a terrorist state, although, in these terrorist activities the target were mosques of Muslims and Muslims were being martyred through the suicide bombers manufactured in the terrorism factories of Indian army. 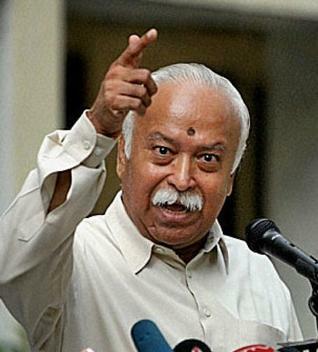 But now when the whole drama of terrorism in India has been unleashed that all this was to defame Pakistan; India has taken a new turn in the propaganda against Pakistan that terrorist Hindu organization RSS’s leader Mohn Bhagwat Singh has serious threat from ISI and not only Mohn Bhagwat but whole of the top terrorist leadership of RSS. Astonishingly secular media of Hindu India has also demanded that Indian govt. should provide protection Hindu extremist (terrorists) organization; moreover, Indian media has started the campaign that after a long silence ISI has reactivated its network within India. According to some news reported by local news websites of India, Chief Minister Gujrat Narindra Modi who earned popularity through notorious inhuman massacre of Muslims in 2002 is now planning to contest for Prime Minister. In order to support him for this contest not only BJP but all extremist Hindu parties have announced to support him and Mohn Bhagwat is planned to visit New Delhi, Jaipur, Saleemabad, Jodhpur, Meerath, Solapur and Mumbai for election campaign. The people of these areas are irriateted of increasing inflation, poor situation of law and order, unemployment, and efficiency of govt. and public of these areas is unhappy with Manmohan Singh. In such a situation the election campaign of Mohn Bhagwat is being taken as political threat by Sonia Gandhi and other leaders of Congress party. That is why few Indian analysts have claimed the reports of threats by ISI to RSS as internal part of Indian politics and a dangerous bloody game. Because in the past Indian govt. 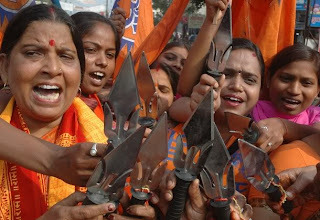 has used the name of ISI or Laskar-e-Taiba to remove political rivals, according to the analysts it is possible that Congress is using fake threats from ISI to limit the election campaign of BJP and Mohn Bhagwat (popular in Hindus), if this happens the situation may be exploited by the exploited by the leaders having disputes with RSS or extremist Hindu parties. Whatever the purpose is behind these fake reports of threats by ISI the ultimate result would be massacre and genocide of Muslims. 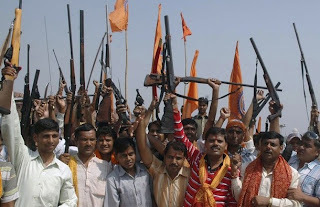 Extremist Hindu parties who have joined hands to support Narindra Modi as next Prime Minister of India are filled with anger and revenge over the disclosure of dirty role of Indian army and terrorist Hindu organizations in terrorism in India especially in Mumbai and Parliament attacks. Muslims are being warned that if they wish to live in India than they should convert to Hinduism or migrate to Pakistan or be prepared for death. In such a situation when Hindu extremist parties are ready to go beyond limits for contest of Prime Minister this possibility could not be ruled out that Hindu Terrorists may replay the drama of burning of railway bogies of Hindu Yatris (pilgrims) that was staged on Godhra Railway Station in 2002 after which massacre of Muslims of Gujrat took place and Narindra Modi appeared as an undefeatable politician.